From a eBay top rated seller. Prep your space for spring. Viva Standard Flush Tank Cistern Lever Handle Kit Chrome Plated Toilet WC 3/8"
The bathroom. One of the important havens in the home, and now's the time to get it right: get the perfect bath accessories, browse the bestsellers for bathroom furniture, and shop the shower, sink and taps to make your shower and bath a spa-worthy space. From modern contemporary looks to classic traditional styling, and luxury baths to smart shower enclosures for en-suite bathrooms - the world is your oyster when it comes to your bathroom. Get it right with your bathroom accessories can make your life easier. Choosing from lacquered bath accessories are simple space savers to store creams, body wash, toothbrushes, soaps, and cleansers. 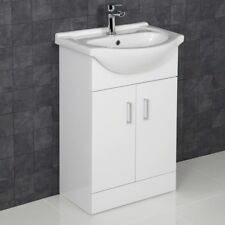 A great piece of bathroom furniture such as a wall mirror, sink cabinets, or vanities complete with their vanity stool is also perfect for that extra storage of body care products; including luxurious body soufflés or a body scrub, jewellery boxes and bathing extras such as a home fragrance or spray to set the mood. Browse the candles home scents to get your bathroom spa-worthy, and shop all fragrances to set the ideal ambience to let relaxation sink into your body. Maintaining the fresh feel is essential, and not only with the right fragrance and furniture, but with extras like the laundry hamper, good quality hand and body towels, body products, cosy bathroom slippers, and simple wall decor, this can be achieved. Invest time in installing a medicine cabinet to make sure your bathroom remains a clean and tidy haven when you store away those shower accessories with ease. 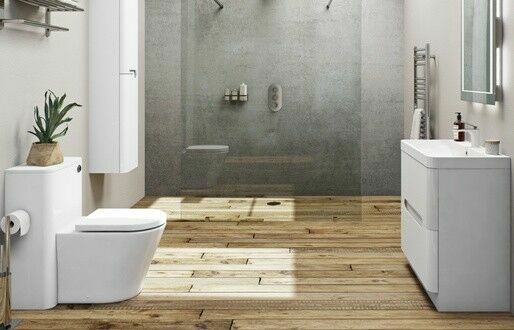 Bathroom furniture can be overwhelming. Sliding bar showerheads? Frameless shower? Pivot shower? Showers with a spa panel? Shower door or shower curtain? Choosing the right showerheads, and shower faucet and design can be daunting but take your time, and keep your head up. Save your shower and bath options in My Lists to give yourself a chance to mull over, browse over the Simplify Installation View Collection. Check out Today's Top deals on the latest bathroom furniture and shower doors, and compare top brands like Delta American Standard, or Bath and Body Works, with other stores and collections to inspire you. Whether it's a stainless steel tap or porcelain sinks, you'll be able to make your shower room a place of functionality and beauty, with the ease of shopping on eBay.